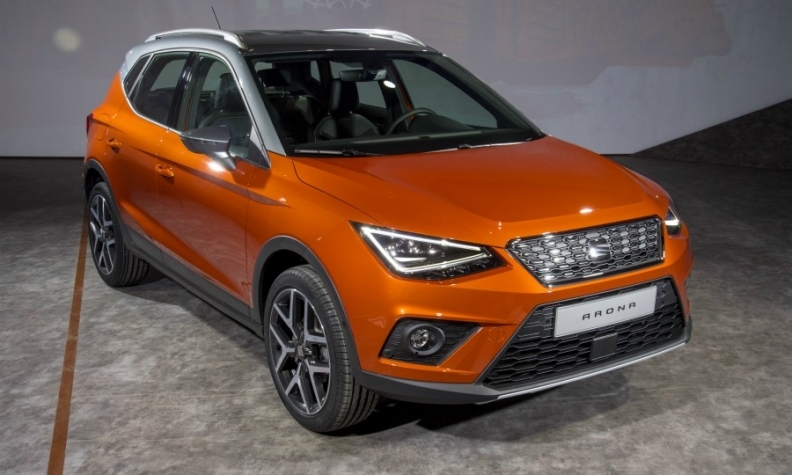 Seat will build the Arona in Algeria. Volkswagen Group's Seat unit is adding production of two models at its factory in Algeria. The plant will assemble the Arona subcompact crossover and Leon compact car, Seat said. Seat's expansion in Algeria follows meetings between Seat CEO Luca De Meo and officials from the Algerian government, including Prime Minister Ahmed Ouyahia. The North African country is looking to develop a domestic automotive industry while Seat is seeking to expand beyond Europe, starting with North Africa and Latin America. The automaker explored entering the Iranian market last year but decided to scrap the idea. The Algerian factory in Relizane, 220 km west of Algiers, is the first Seat-led car plant outside of Spain. The $170 million plant opened last year to supply vehicles for the North African market. It is a joint venture with Sovac, VW Group’s sales partner in Algeria, with VW holding a minority stake. Production started at the plant in July 2017, and 17,000 vehicles were produced there last year, including 8,121 units of the subcompact Seat Ibiza. Other models assembled there are the VW Golf compact and Caddy van, and the Skoda Octavia compact. All four models are built on the VW Group’s MQB architecture. Volkswagen announced last year that the VW Polo and Skoda Fabia will be made at the factory, also starting in 2018. The plant can produce up to 200 units a day, currently all semi-knockdown kits, meaning that some components are partly pre-assembled. Seat said it would increase the knockdown level further to medium or complete knockdown kits. Company executives would not give a production target, but a spokesman said Seat has an ambitious growth objective for the upcoming years, and Algeria is at the center of its North Africa growth plan. Seat says it is working with Sovac to build a supplier network in Algeria. “To increase sales in Algeria in the long term, we need a well-developed supplier structure in the country, not only in qualitative terms but also in quantitative terms,” the Seat spokesman said. Algeria’s auto market is shifting from one dominated by imports to domestic production. More than 400,000 new vehicles were sold in 2013, most of which were imported, but the government tightened import quotas in 2016 in an effort to boost local production, and sales fell sharply to an estimated 115,000 in 2016. BMI Research forecasts that Algeria will become a net exporter of vehicles by 2019, as production increases at plants such as Relizane. Renault Group has been producing low-cost models at its plant in Oran since 2014, with an eventual goal of producing 75,000 vehicles annually. Last autumn, PSA signed a 110-million-euro agreement with local partners to build a factory in Oran that will come online in 2019. Seat's global vehicle sales rose 15 percent to 468,400 last year. The brand turned its first profit in a decade in 2016.